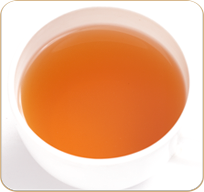 TEA BENEFIT Oolong is best know for the weight loss properties. In addition of increasing metabolism and promoting fat burn at a higher rate, Oolong tea can also block fat absorbtion in the intestines. Oolong has been used as a complement to classical treatment of type 2 diabetes. According to scientific experiments, patients diagnosed with eczema can benefit from drinking 3 cups of oolong tea throughout the day. The beneficial results of oolong tea could be seen in less than a week in these patients, who showed remarkable improvement in their skin. DESCRIPTION A mesmerizing flavor instantly reminiscent of the misty and earthy slopes in Darjeeling. Light and flavorful, the brew yields a light lemony green cup. A must try for First Flush lovers and aficionados of aromatic teas.